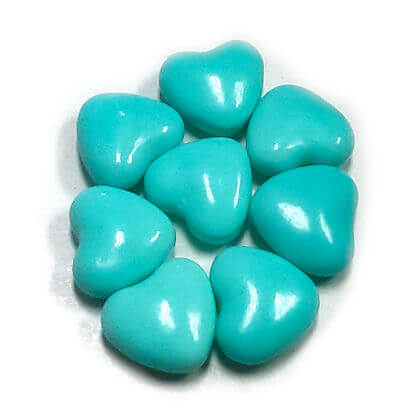 Crunchy candies in fun heart shapes. Pressed dextrose candy great for parties! 1 pound bag. OU Kosher. Approx. 0.5 inch wide and 30 pieces per ounce.